QVAR RediHaler is contraindicated as a primary treatment of status asthmaticus or other acute episodes in which intensive measures are required. It is also contraindicated in patients with hypersensitivity to any of its components. Candida albicans infection of the mouth and throat may occur during treatment with QVAR RediHaler. To reduce this risk, patients should rinse with water after inhalation and spit. When transferring from systemic corticosteroids to QVAR RediHaler, the dose of systemic corticosteroids should be tapered slowly to minimize the risk of impaired adrenal function. Caution should be used in patients with bacterial, fungal, ocular herpes simplex, parasitic, tuberculosis, or viral infections and in patients with chickenpox or measles. If paradoxical bronchospasm occurs, an inhaled, short-acting bronchodilator should be administered immediately and QVAR RediHaler should be discontinued. Hypersensitivity reactions may occur, including angioedema, bronchospasm, rash, and urticaria. If this occurs, QVAR Redihaler should be discontinued. Adrenal suppression and hypercorticism may occur and warrant slow discontinuation of the medication. Pediatric patients should have their growth monitored, and those with major risk factors for decreased bone mineral content should have their bone mineral density monitored. Patients with a change in vision or a history of blurred vision, cataracts, glaucoma, or increased intraocular pressure should be monitored closely. Qvar RediHaler [prescribing information]. Frazer, PA: Teva Respiratory LLC. qvar.com/globalassets/qvar/qvar-redihaler-pi.pdf. Accessed June 4, 2018. 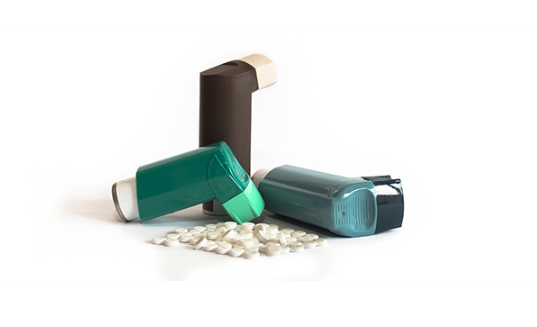 Teva announces U.S. launch of QVAR RediHaler (Beclomethasone Dipropionate HFA) Inhalation Aerosol [news release]. Jerusalem; February 16, 2018. tevapharm.com/news/teva_announces_u_s_launch_of_qvar_redihaler_beclomethasone_dipropionate_hfa_inhalation_aerosol_02_18.aspx. Accessed June 4, 2018. Teva announces FDA approval of QVAR RediHaler (Beclomethasone Dipropionate HFA) Inhalation Aerosol [news release]. Jerusalem; August 7, 2017. tevapharm.com/news/teva_announces_fda_approval_of_qvar_redihaler_beclomethasone_dipropionate_hfa_inhalation_aerosol_08_17.aspx. Accessed June 4, 2018.